Want to see baseball up close and personal? Get your pack or troop a group trip to see the Aberdeen Ironbirds. It's a fantastic stadium, reasonably priced, and has a number of options for groups. Let CCBC Catonsville’s Benjamin Banneker Planetarium put stars in your eyes at the Saturday Celestial Shows. Open to the public and free of charge, the shows will begin promptly at 10:00 AM in Room D-003(Banneker Planetarium) at 800 South Rolling Road. Before you go out camping you will be able to prepare yourself for the sky that will be above you. The seasonal sky will be shown so that you can figure out directions and locate various constellations. You will also be shown how to tell time by the Sun and by the stars. Under the night sky you will witness unusual sights such as a meteor shower, an exploding fireball and a comet. The changing positions of the planets and the phases of the moon will also be displayed. The dome of the sky should then be a more familiar covering for your camping excursions. Earth Treks is proud to offer climbing programs for Girl and Boy Scouts of all ages. We feel strongly that the inherent life lessons learned through climbing are well aligned with the missions of both the Girl Scouts of the USA and the Boy Scouts of America. Troops can choose from either a two session indoor program or a one-day outdoor course. Both the indoor and outdoor curriculum cover all BSA requirements for the Boy Scout Climbing Merit Badge (except first aid components). The same indoor or outdoor format is also well suited to the climbing components of the Girl Scout Adventure Sports and High Adventure Badge and other Girl Scout programs. Troops with younger kids or a mix of ages, or troops that are more interested in a non-instructional fun climbing experience should consider a Private Climbing Party. To learn about the exclusive climbing parties organized by Earth Treks please contact us. We are delighted to offer programming for scout groups that will assist them in meeting badge requirements in various areas. Scout programs are offered at Rose Hill Manor and Museums, Catoctin Creek Park and Nature Center, Fountain Rock Park and Nature Center, and Ballenger Creek Community Building-Teaching Kitchen. The Howard County Conservancy is a local non-profit environmental education center and land trust. 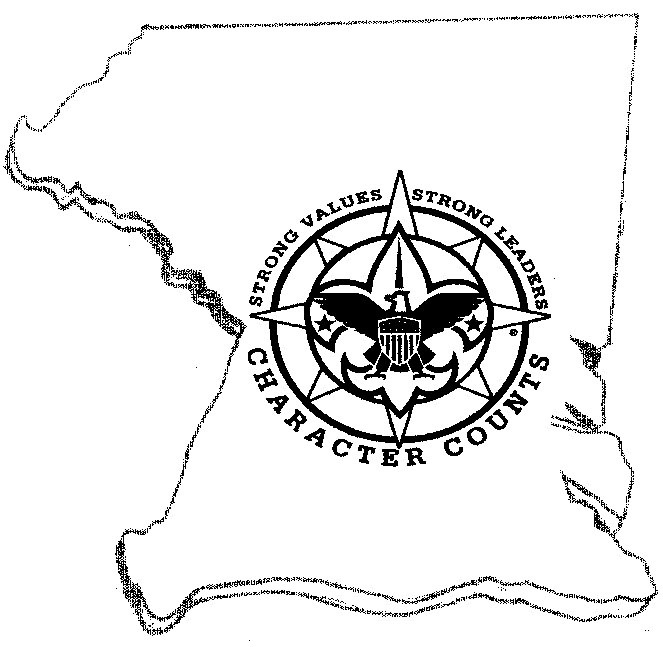 The Conservancy was founded by a group of local citizens in 1990 to help preserve the natural environment, agricultural farmland, and unique historic sites in Howard County. Headquartered at Mt. Pleasant Farm in Woodstock, Maryland, a 232-acre farm that is 300 years old, the Conservancy offers dozens of year-round educational programs for adults and children, hosts special events, provides numerous volunteer opportunities, and provides Howard County residents with information about land conservation. The Conservancy protects land by acquiring it through gift or by obtaining a conservation easement. Founded in 1975, the Irvine Nature Center has earned a reputation for providing quality environmental education for all ages. Located in the Caves Valley region of Baltimore County, Irvine provides programs for Baltimore-area schools and the public. We also offer a number of special events each year. Scout groups can arrange a field trip to meet specific badge requirements. Call the Nature Center to discuss the specific achievements that can be covered during a one-hour program. Eagle Scout projects can also be arranged. For more details, you can download one of our brochures. They offer several different options for scouts…from learning about business, cooking, to nutritional meals. They also offer several hands on cooking options. Have a WILDlife day at the Zoo! Scout groups need only 10 people to receive discounted rates! Take in a Keeper Chat, get hands-on at our Education Outposts, or check out our Zoo events during your visit. Click here to download the Scout Group Reservation Form to get your discount! Reservations must be made at least one month in advance to receive group rates. Free car and bus parking everyday! Self Guided badge activity sheets are also available on the website. Looking for a way to give back to the Zoo? We have many opportunities for individuals and groups to volunteer. You could help remove invasive plant species from the grounds, support children’s activities at a special event, or do fun projects at home. Learn more and apply in the Volunteers section! Program includes a free participation patch, falcon presentation, care and training of horses, a show and a question and answer session with the cast. Meadowside Nature Center provides an environment which is conducive to both learning and having fun. Our staff of Park Naturalists, with over 30 years of combined experience, will take your scouts to new heights, from learning about migratory birds for the Bird Study merit badge to truly discovering the ground we walk on for the Geology merit badge. To achieve our goal of maximizing advancement opportunities we offer an array of merit badges. Earn your Webelo activity pins at Meadowside Nature Center with real-life, hands-on field experiences and fun! They offer a scavenger type hunt in the store when set up in advance…would be good for art pins and beltloops. Our program is open to boys and girls at all levels of gymnastics experience, beginner to advanced with a desire to learn gymnastics. Like to build model rockets, but don't have a launch pad? Now you do! Anyone can fly at the Goddard model rocket launches, and there are no costs or fees to participate. Rockets, motors and supplies are available at the nearby Goddard Gift Shop and you can even get rocket construction and launch tips from our on-site experts on launch day! Model rocket launches are held at the Goddard Visitor Center the first Sunday of the month. Launches start at 1 p.m. and are brought to you by the NARHAMS Model Rocket Club . There are several options for leaders wishing to bring their scout groups to Patuxent Research Refuge. If leaders are interested in working on accomplishing badge criteria, a copy of Program Links can be picked up or mailed prior to their visit. Program Links is a publication that descriptions how leaders can utilize the exhibits and trails at the National Wildlife Visitors Center to help their scouts meet some of the nature related merit badge requirements. The North Tract entrance of the Reguse offers camping to scouts mid-March through the end of June. Camp sites are for primitive camping. Please contact North Tract at 301.776.3090 for more information. Schedule Tours only on Sundays, Mondays, Wednesdays or Thursdays and they begin promptly at 9:30 am. No more than 25 people per tour. Costs $3 make own pizza. In 5 wooded acres of the 140 belonging to the Sandy Spring Friends School is an aerial forest high ropes course consisting of more than 190 platforms installed in the trees and connected by various configurations of cable, wood, and rope to form bridges and zip lines. Groups of bridges link together to form separate trails. Although every trail has zip lines on them, you will need to climb to get to them. There is much more fun than just zip lining to be had! There are 13 trails in total for ages five—adult. Each trail has varying difficulty level ranging from beginner to expert. Safety comes first and the fun and excitement will come naturally. Shiloh Pottery offers group clay classes for cub scouts, boy scouts and other groups. Ken Hankins is a former scout, having attained the rank of Eagle Scout. Parents are encouraged to come with their scouts and help if necessary. We also offer beginning woodworking classes for scouts. Call for information. Clip in and take off on a unique outdoor adventure. Soar through the air and defy gravity! Launch your adventure by scaling one of the 12 routes of our Terrapin Tower. Conquer all 25 of our Terrapin High and Low Challenge Course Elements. Bring your Scout Troop to Terrapin Adventures at Savage Mill in Howard County for 1 to 4 hours of Team Building, Leadership Training, and Adrenaline Pumping fun. The U.S. Army Heritage and Education Center (USAHEC) is the Army’s preeminent museum and research complex. They are dedicated to educating and preserving the legacy of the men and women who have served their nation as soldier. They have great historical and education programs including an annual event with re-enactors.